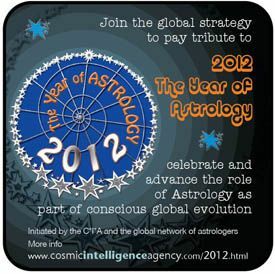 Over the past few years a well-meaning group of astrologers called the Cosmic Intelligence Agency has led a campaign to “make 2012 the year of astrology.” Their goal is to use some of the hype surrounding predictions about the significance of the year 2012 to draw greater attention to astrology and the astrological community as a whole. At one point they even went so far as to see if they could lobby the United Nations in order to officially designate 2012 as the year of astrology. Thanks for sharing this article. I so agree with it. Absolutely! Thanks for posting this. Hadn't seen that - so thanks from me too. I've always felt that the concept of "Year of....." whatever was a pointless exercise. In this case even more so. Perhaps it was meant as a kind of marketing ploy - but it's one one which could easily backfire and shed even more bad feeling and ridicule on astrology. I also concur with his reasoning. All indications are that 2012 will be yet another "non-event," and those who put stock in the "predictions" will become the targets of mockery. Since there is no substantive connection between the Mayan calendar and astrology, commemorating astrology in that manner would only put it at risk. I agree too - we don't actually need this at all do we? Couldn't agree more with you. Leave astrology out of this hyped-up mess! 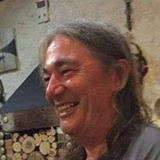 I've always considered 2012 to be a non-event but rather a marker (as the mid point)of great transformation in ALL Consciousness of this time-space called Earth. Ironically, I just saw the movie "2012" last night. So I really appreciate your post. According to me among all these methods, moon sign is considered the most accurate and that is the reason Vedic astrologers pay so much attention to the moon sign.